Welsh Mountain Ponies For Sale. Welsh Cobs For Sale. Welsh Pony Foals For Sale, Filly, Colts and Youngstock. For Sale on (page 2)! Not all foals will be offered for sale or available for purchase, some may be retained by Heavenly. Heavenly ponies excell in the show ring. 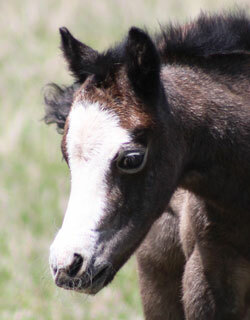 reserve foals each year. Inquire if you are interesting in reserving your Heavenly Pony! are repeat customers. If you need references, please inquire. Unnamed foal (*Friars Gold Chance x Heavenly Angelic Phoebe) - Section A grey filly foaled April 5. Unborn foal (*Friars Gold Chance x Heavenly Mary Magdalene) - Section A due May 13. Unborn foal (*Nebo Joules LOM x *Brynmeillion Louise) - Section C due April 20. Unborn foal (*Friars Gold Chance x Heavenly Epilogue of Tabitha) - Section A due June 11. Please check our mare and stallion page. We know that not everyone looks for the same qualities in a pony. If there is a cross you wish to have available or buy in utero, let us know.